In case you missed it, a Broadway musical set in Uganda has just won nine Tony awards and had 14 Tony nominations and is being hailed as the “best musical of the century”. Of course we are only ten years into the new century but such praise is rare in the cut-throat business of Broadway. 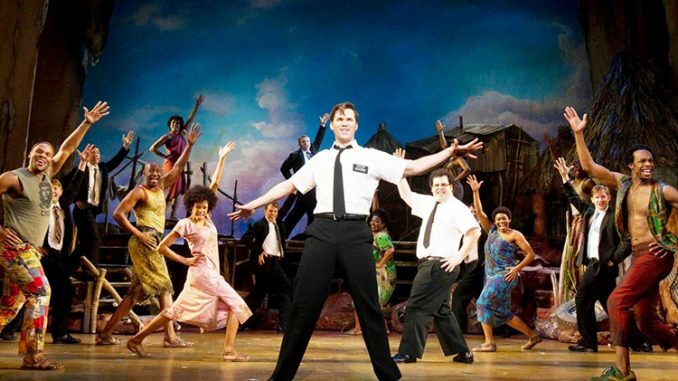 The musical is called “The Book of Mormon” and it is written and produced by Trey Parker and Matt Stone, the genius duo behind “South Park” and “Team America – World Police”. Anyone familiar with either of these will know that Parker and Stone do one thing and do it well: offend. “The Book of Mormon” is no different. It tells the story of two young Mormon missionaries sent to bring the word of God to a remote village in northern Uganda. There a brutal warlord, most likely fashioned after Joseph Kony, is threatening the villagers. Naïve and optimistic, the two Mormons try to convert the locals who are more worried about famine, poverty, and AIDS. In probably the most memorable (read infamous) musical numbers, the villagers literally curse the God who brought them decades of war, pain and suffering. “We’ve had no rain in several days (insert blasphemous curse here) and 80 percent of us have AIDS. And so we say up to the sky (insert blasphemous curse again)” sing the villagers. The song is performed in a manner similar to the “Hakuna Matata” musical number in the “Lion King”. Offensive hilarity of course ensues. In the end the villagers convert but not because of the strict scriptures of the Mormon Church but because of the unifying feature of religious community. And this sense of community gives them the strength to stand up to the warlord and to come together to fight the scourges of poverty and illness. This being a musical comedy, it has a happy ending. The poor Ugandan villagers are “saved”. But how are the Ugandan people portrayed? In seeking to satirize the Mormon Church, have the producers also made fun of the innocent Ugandans? This being satire, the innocent, uneducated and naïve way that the villagers are portrayed probably reflects less the prejudices of the producers and is more a reflection of the ignorance most Americans have toward people in Africa (Yes, people drive cars here. No, all people do not live in grass huts. No, not every African is poor and starving). The musical is more a modern answer to “The Gods Must be Crazy”, the 1980 film which followed the adventures of an African bushman after a Coke bottle falls from the sky. Some saw this film as racist and condescending while others praised it as a testament to the strength and a condemnation of racism in the face of Apartheid. What the audience will take from the musical regarding the lives of Ugandan villagers will probably depend more on their understanding of the country before the curtain rises rather than after the cast takes their bows. But according to one audience member, the comedy of “The Book of Mormon” is so outrageous and extreme that you lose the sense of who the show is really targeting.